Dietary fibre is that part of plant material in the diet which is resistant to enzymatic digestion which includes cellulose, noncellulosic polysaccharides such as hemicellulose, pectic substances, gums, mucilages and a non-carbohydrate component lignin. The diets rich in fibre such as cereals, nuts, fruits and vegetables have a positive effect on health since their consumption has been related to decreased incidence of several diseases. Dietary fibre can be used in various functional foods like bakery, drinks, beverages and meat products. Influence of different processing treatments (like extrusion-cooking, canning, grinding, boiling, frying) alters the physico- chemical properties of dietary fibre and improves their functionality. Dietary fibre can be determined by different methods, mainly by: enzymic gravimetric and enzymic—chemical methods. 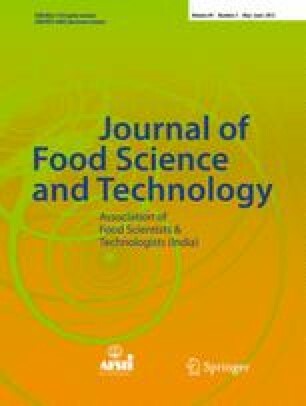 This paper presents the recent developments in the extraction, applications and functions of dietary fibre in different food products.